Let’s start with a seemingly unconventional proposition: civil society and business share the same space, and therefore should share an interest in defending what unites them. How controversial is that proposition, really? This “shared space” is anchored in accountable governance. Civil society actors and companies both depend on the same legal and institutional frameworks that define the shared space to operate. Civil society cannot flourish, and business will struggle to thrive, without the rules and standards that hold public and private powers accountable. Civic freedoms – freedoms of expression, association, information and assembly – allow citizens to expose abuses related to corruption, workplace safety, public health, toxic pollution and gender discrimination. These rights support stable, predictable legal and regulatory environments. At the same time, they enable the free flow of information, investment and entrepreneurial innovation. When these civic freedoms are undermined, business and civil society alike are subject to the law of the jungle instead of the rule of law. Companies should recognize the positive role that civil society organizations and human rights defenders play in protecting this space. Moreover, where reasonably possible, they have a responsibility to support these crucial actors when under pressure or threat. 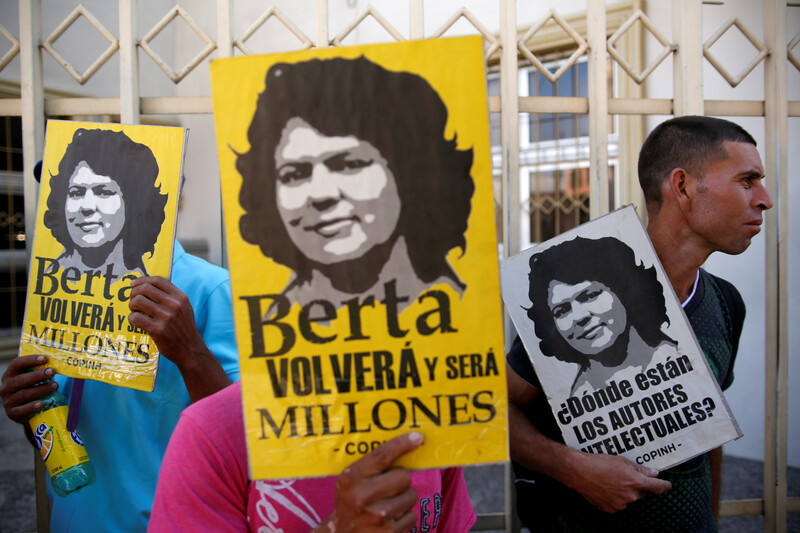 From the murder of the Honduran environmentalist Berta Cáceres and the Saudi journalist Jamal Khashoggi to politically motivated charges against Cambodian trade unionists, attacks on human rights defenders and civic freedoms around the world should and do concern the business community. These freedoms are being eroded as authoritarian governments act with impunity and democracies embrace illiberal populism and nationalism. Nearly six in 10 countries are seriously restricting people’s fundamental freedoms of association, peaceful assembly and expression, according to the global civil society alliance CIVICUS. Sometimes, companies are complicit in this repression. 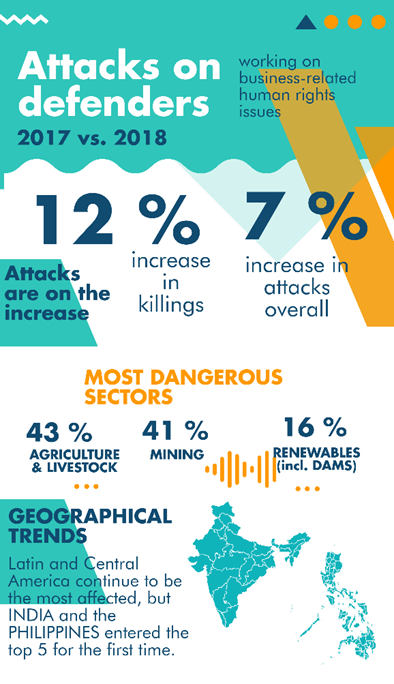 Since 2015, there have been close to 1,400 recorded attacks against citizens and organizations working on human rights issues related to business. Multinational corporations and their investors can no longer afford to be bystanders with so much at stake. All too often, companies take the rule of law, accountable governance and stable environments for granted. Recent research by the B Team, a leading non-profit initiative formed by a global group of business leaders, has found clear evidence that limits on important civic freedoms may produce negative economic outcomes. Countries with higher degrees of respect for civic rights experience higher economic growth rates and higher levels of human development. Issues and incidents in and out of the headlines are presenting inescapable challenges to business leaders. A growing number of corporate leaders are recognizing that they must defend the interests and values that they share with civil society around the world. Some are making public statements; others are registering their concerns privately. Increasing awareness of the “shared space” in which companies and civil society operate, and expectations of the responsibilities of businesses, are compelling shareholders and employees to take sides and pressure companies, however difficult the choices and trade-offs may be. • Adidas and Nike were among global apparel brands that urged the Cambodian government to drop politically motivated criminal charges against labour rights activist Tola Moeun and others – and have publicly supported freedom of association. • In the US, companies have spoken out in unprecedented tone and numbers against the current administration’s immigration policies: Microsoft, Cisco, Airbnb, Apple, Salesforce, and the US Chamber of Commerce, among others, challenged the travel ban imposed on citizens from half a dozen Muslim-majority countries and opposed the separation of migrant families at the US-Mexico border. • In Germany, BMW and Daimler engaged with their employees to combat xenophobia and racism following far-right riots against immigrants; Siemens even urged employees to speak out and emphasized that tolerance and respect are important business values (as its CEO, Joe Kaeser, has made explicitly clear in public statements). • A group of 14 human rights organizations and more than 1,400 Google employees called on Google to refrain from launching a censored search engine in China (known as “Project Dragonfly”), and partly as a result, the company has discontinued the project. These advocacy efforts illustrate that employees too are leading movements within companies, especially within the tech sector, to respect human rights. Companies will need to be mindful of rising employee expectations, or risk reputational damage and the loss of valuable talent, as younger workers seek to align their values with those of their employers. 1. Whether the company has a normative responsibility to act, based on the UN Guiding Principles for Business and Human Rights. All companies must ensure – through the application of the UN Guiding Principles – that their operations do not cause, contribute and are not linked to attacks on activists and civic freedoms. If they do, they must address the causes and consequences. 2. Whether the company has a discretionary opportunity to act. If so, whether there is a compelling business case to support civic freedoms and human rights defenders and/or a willingness to make a moral choice to do so. Besides defending the core elements of the shared space, the business case rests on managing operational and repetitional risks; building competitive advantage; and overcoming mistrust and securing the social licence to operate. Companies can also make a moral choice to act, both to do no harm anywhere and to do good where possible. 3. How the company will act in a particular situation or on a certain issue.There is no one type of action that applies to all circumstances: a spectrum of actions (individual and collective, public and private) may be combined to address an issue or situation. In some situations, such as the increasing restrictions on Hungarian civil society, companies prefer to raise concerns individually and privately with the government. In others, such as Cambodia’s crackdown on striking workers, companies choose to make collective and public statements. Companies should be guided by pragmatic flexibility as they consider circumstances, relationships and opportunities to make a positive difference. 4. Who within the organization decides whether and how, a company will act. it is essential that these decisions are involving corporate headquarters and in-country executives and staff. It is important to integrate legal counsel, human rights and corporate responsibility experts, government, public affairs and (in certain circumstances) security and human resources staff into the deliberative process. Equally, local civil society and other stakeholders with which the company should maintain steady engagement should be consulted. CEO-level decisions are essential when a company’s core values, reputation, operations and relationships are at stake. 5. Whether the risks of inaction outweigh the risks of action. Responsible companies should evaluate both the risks of action and inaction. Companies may perceive that taking critical positions, especially in public, may put relationships with host country governments at stake. 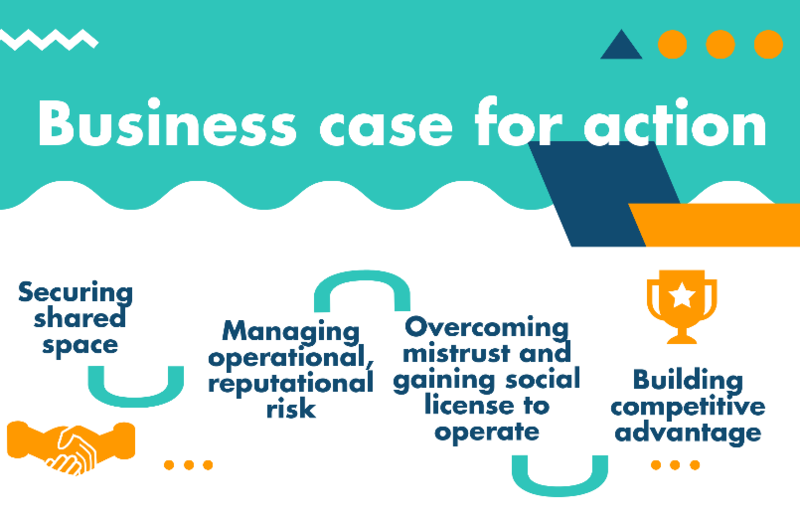 But often companies will conclude that the risks and potential costs of inaction are more difficult to anticipate, mitigate and manage over the long-term than the risks of action. It is unwise to be on the wrong side of history based on a shortsighted cost-benefit analysis. These decision factors provide practical steps that companies can and should take to be allies of civil society and not just bystanders – or worse, casualties – in the global crackdown against the “shared space”. It is not the business of companies to pick fights, but fights are already coming to companies that could make or break them. Companies should engage carefully but deliberately – in their own interest – to support and defend this invaluable but fragile shared space. This entry was posted on	January 21, 2019 at 14:11	and is filed under human rights, Human Rights Defenders.